That’s right, folks. The reality stalwart – the one that started it all – turns 30, and I’ll be here to review each episode as we spend time getting to know these individuals of various collars. What’s that? Collars? Any reality show that has lasted for as many seasons as Survivor has needs to shake things up, and this time Jeff Probst and co. have decided to divide the tribe by their position in life – or, White Collar vs. Blue Collar vs. No Collar. Under normal circumstances, I would find this alarming. We need only look to last season, in which the cast was selected in loved one pairs, to see how problematic it can be when you try to force cast individuals into a concept. This season, however, Probst swears that they selected the cast first and then figured out the collars twist, so I can deal. I’m sure it will be disbanded within a few episodes as the tribes swap and/or merge anyways. And what a cast we seem to have. Lacking in diversity, undoubtedly, but also made up of some pretty promising characters and personalities. Upon arriving on the beach, Jeff gives his normal spiel and asks questions of each tribe, most of which have to do with the tribe labels they have been assigned. Postal worker Dan of the Blue Collar tribe (he of the giant beard, hat, and penchant for underwear that’s probably a size too small) seems proud of his blue collar-ness and argues that since they work hard and with their hands all day they will come out on top. The individuals in the No Collar tribe – a few of whom seem confusingly placed, such as Hali, a law student – are generally as aloof as one would expect at this stage of the game, with Joe and his illustrious man bun standing tall and proud. The white collar tribe, made up of office workers and executive types, has the most surprisingly resonant response to Jeff’s questions when Joaquin (a “marketing director”) says, “My 9 to 5 doesn’t define who I am.” I suspect that to be a recurring theme throughout this season. Although they were initially divided into these very specific tribes (much like brains vs. brawn vs. beauty in season 28, which was one of the best ever, mind you) humans are far more complex than simply what they do for a living. At this point Jeff asks each tribe to select one individual to represent them (Max Dawson, of the White Collar tribe, a well-known online Survivor fan/personality who used to teach a college class about the show and who I am firmly rooting for at this juncture, smartly notes that at this stage of the game you never want to be seen as the leader) and we end up with Joaquin for White Collar (with So as his 2nd), Dan for Blue Collar (with Mike as his 2nd), and Will for No Collar (with Jenn as his 2nd.) Will, for the record, is some kind of YouTube personality, although I have never seen him before in my life. When the tribes arrive at their camps the newly selected pairs of two are given a secret task. They get to choose between “Honest” (a large bag of rice for their tribe) and “Deceive,” (a small bag of rice for their tribe and a clue to the immunity idol.) This sort of a choice so early on in the game can be dangerous and must be planned carefully. Despite some debate, Dan and Mike choose honest, although their tribe doesn’t trust them and frankly their private chats lend credence to that. Will and Jenn also choose honest without any debate whatsoever; they want to play it smart and safe. Over at the White Collar tribe, Joaquin and So choose deceive (boo!) and craft an awful lie in which they were also given a “Neutral” option and that is what they chose. The rest of the tribe almost immediately suspects their lie, and it is clear that we are dealing with a cast that has seen Survivor before (as opposed to many of last season’s duds.) They almost instantly recognize that they’d never be given 3 choices, as such, and I happen to agree. This could spell doom for Joaquin and So. You never want to stand out too much in the early stages of the game. With an extra-long 90 minutes, much time is spent getting to know the various new castaways. There’s no reward challenge (and no mention of either Exile Island or Redemption Island, thankfully) and so we bounce from beach to beach and begin to get a flavor of this cast. 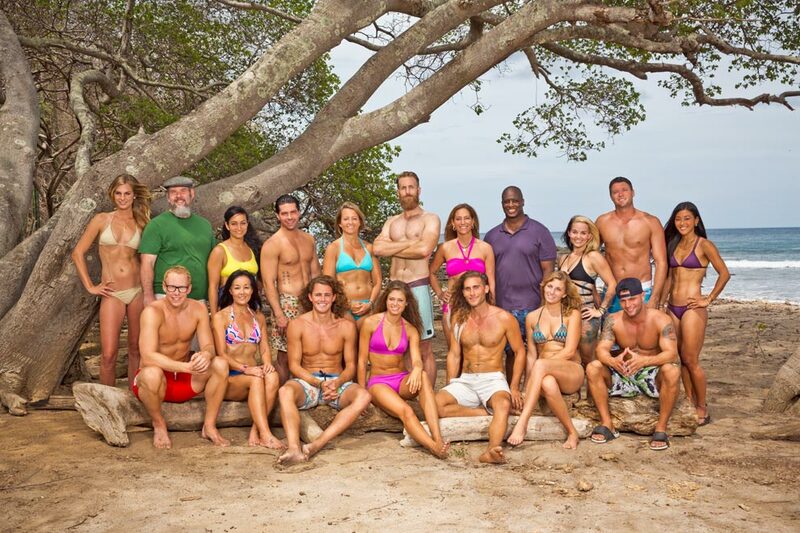 As mentioned above, to an extent, this group certainly seems more Survivor savvy than last season. That being said, big personalities shine through and not always in a pleasant way. Coconut vendor Vince Sly, he of the luxurious feathers in his head, is far from the free spirit we are lead to believe. Instead he’s demanding, controlling, and rather creepy. He makes romantic advances towards Jenn (who seems sweet and harmless) and will not leave her alone. 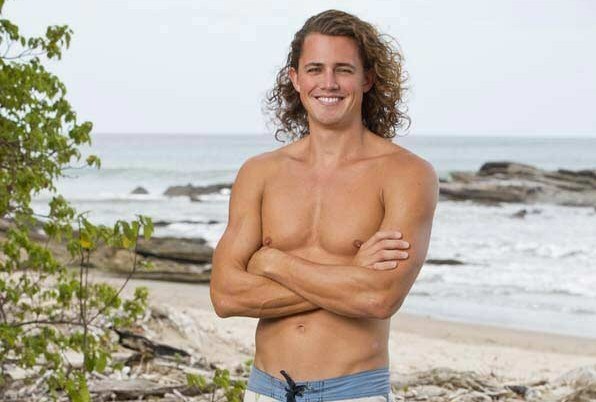 Meanwhile, Jenn is far more interested in man-bun Joe, who may quickly prove to be the Malcolm of this season (ie: an unusually pretty and athletic competitor who has charm to spare.) Postal worker Dan also makes a bad first impression among his tribe as he struggles with the age gap and tries to tell his tribe what to do in a harsh fashion as opposed to communicating as a group. Similarly, Rodney (Blue Collar Tribe) is aggressive and very clearly misogynistic. The immunity challenge is fun and well-designed; a series of various obstacles that require teamwork and choice. Each task along the way has multiple options to complete it. These options (such as using keys to unlock a plank vs. untying many ropes) are meant to challenged the various ways our brains work in relation to the labels that each tribe has. The final puzzle, for example, has 3 choices that are meant to cater towards each particular tribe. The first has only 5 pieces but requires a big-picture outlook; the second has 10 pieces but is a 3D puzzle that could prove challenging; the final has 50 pieces and is the most straightforward of the lot. Surprisingly the White Collar tribe picks the 50-piece puzzle whereas the other two tribes pick the 10-piece. No Collar finishes first (thanks to Joe) and the Blue Collar tribe clearly starts “copying” their puzzle. Meanwhile, Shirin struggles with the 50-piece puzzle until Max takes over, but it’s too little too late. The White Collars are going to tribal council.